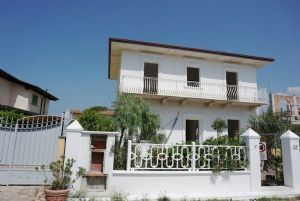 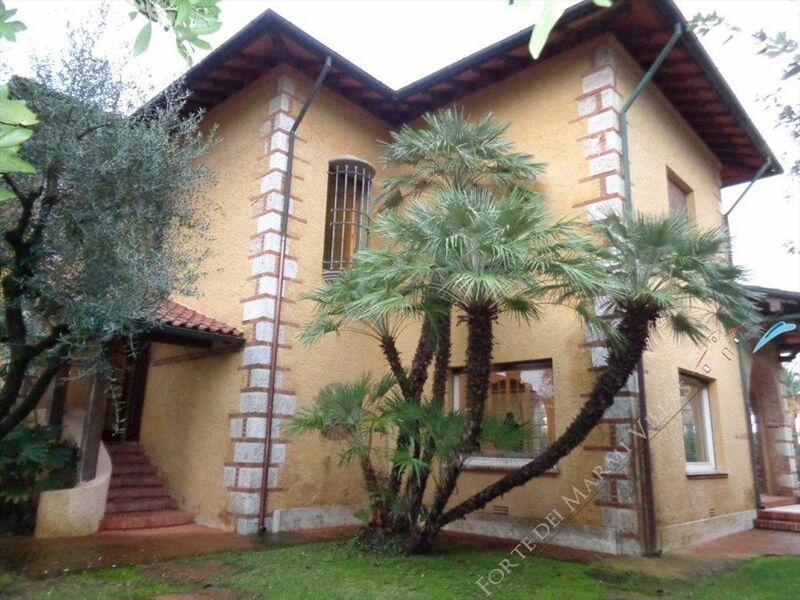 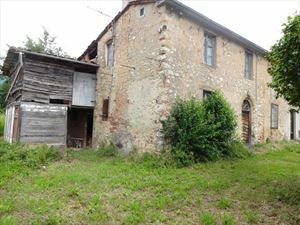 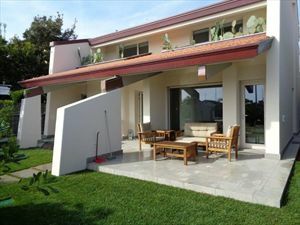 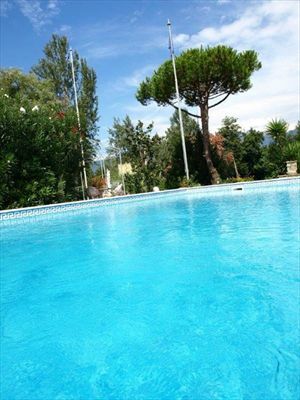 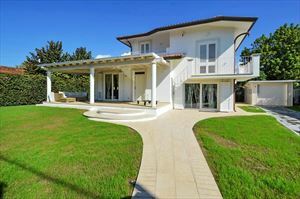 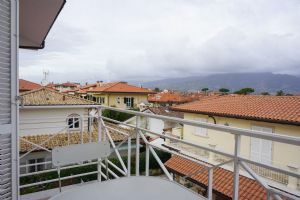 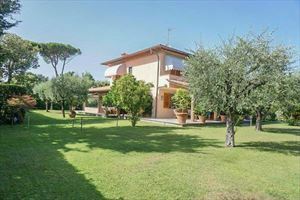 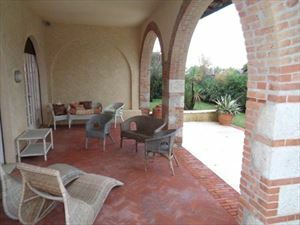 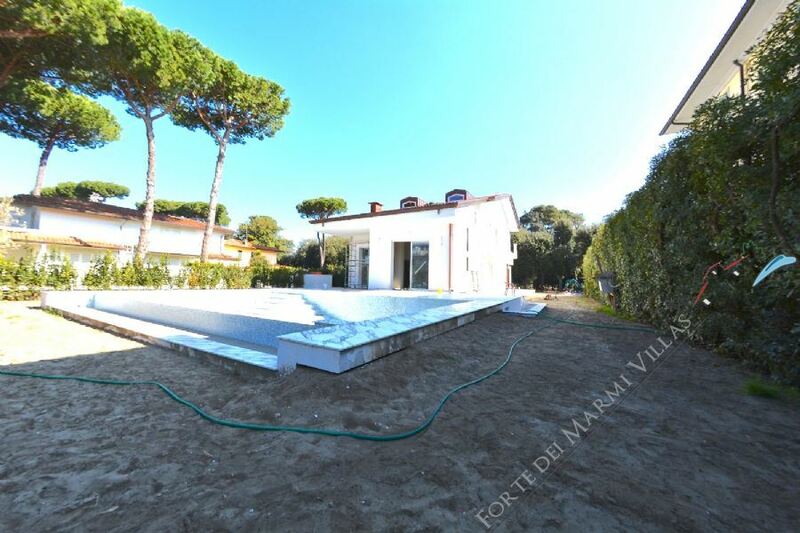 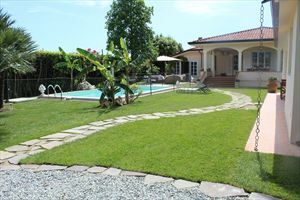 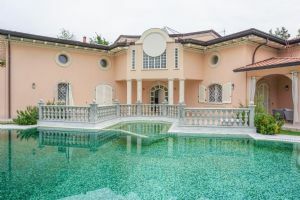 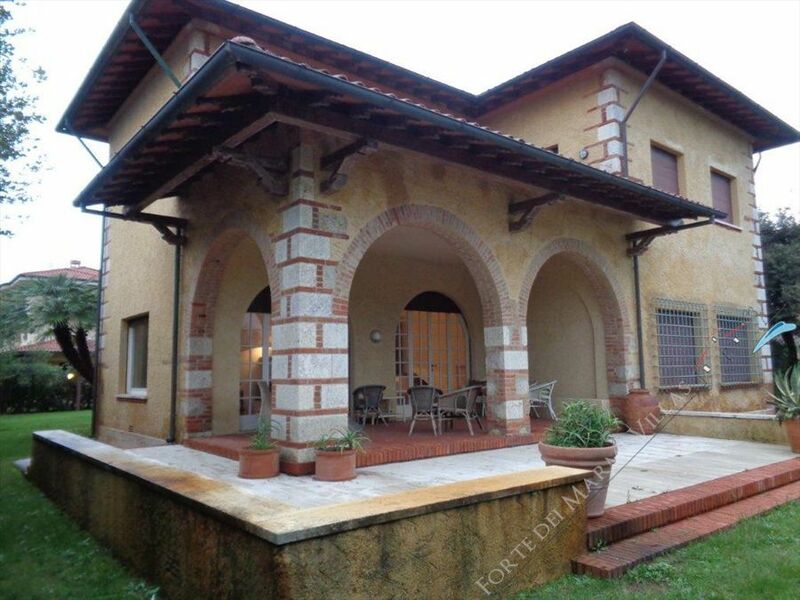 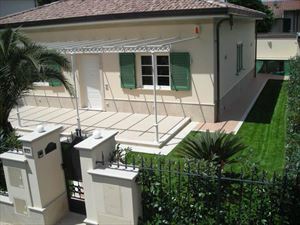 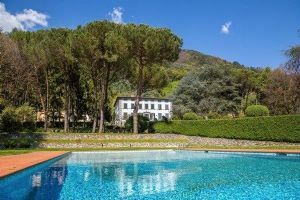 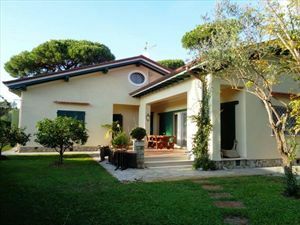 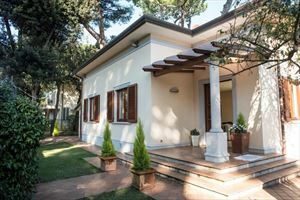 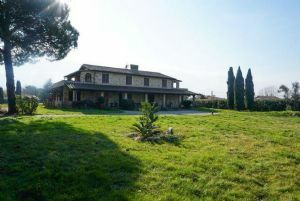 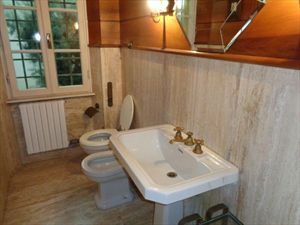 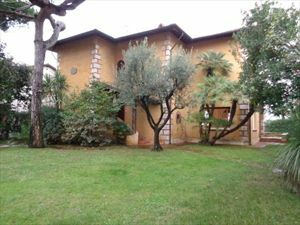 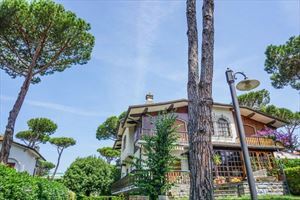 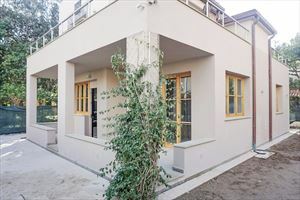 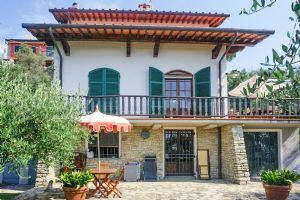 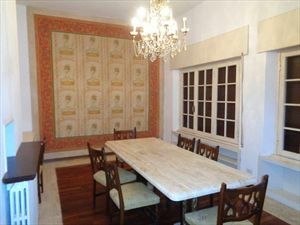 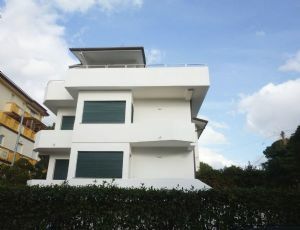 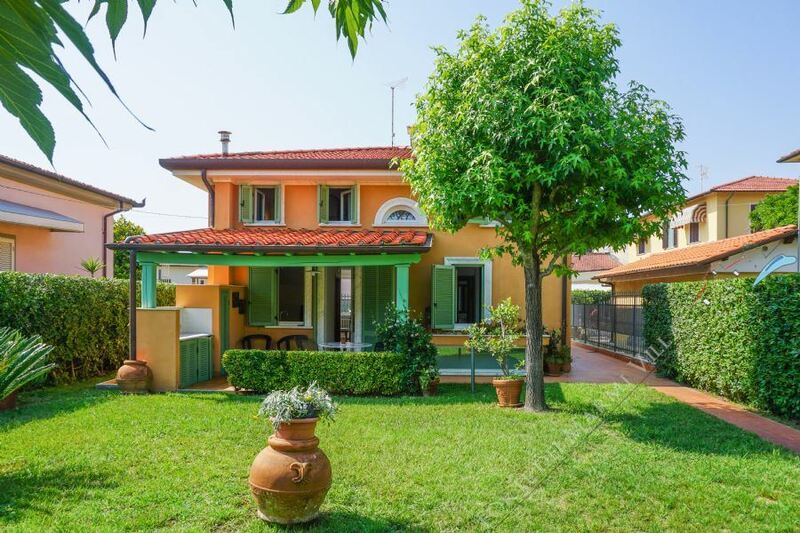 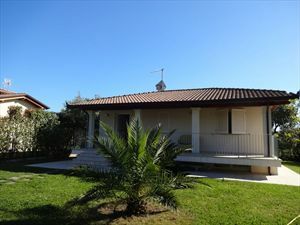 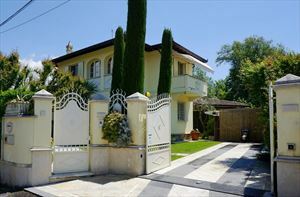 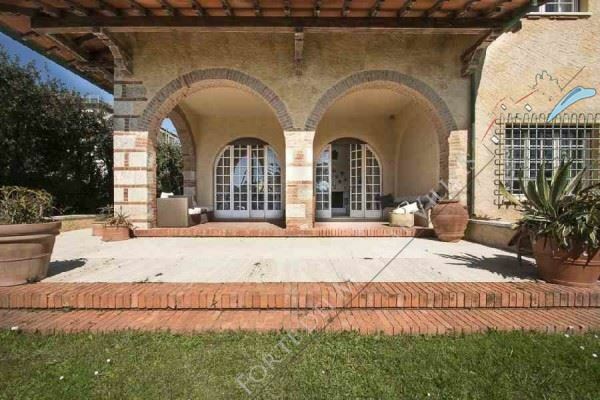 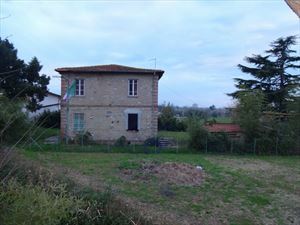 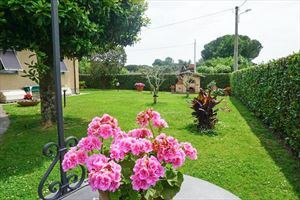 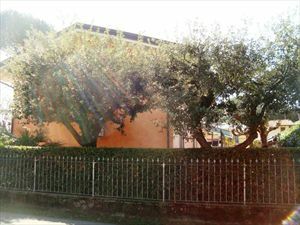 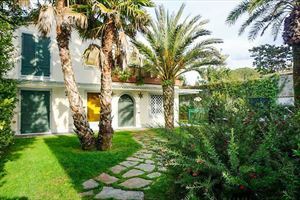 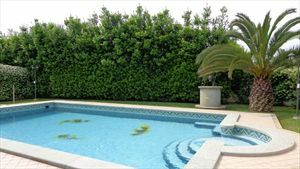 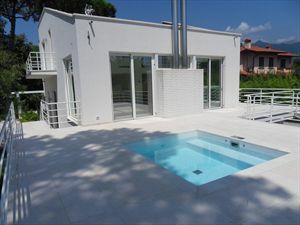 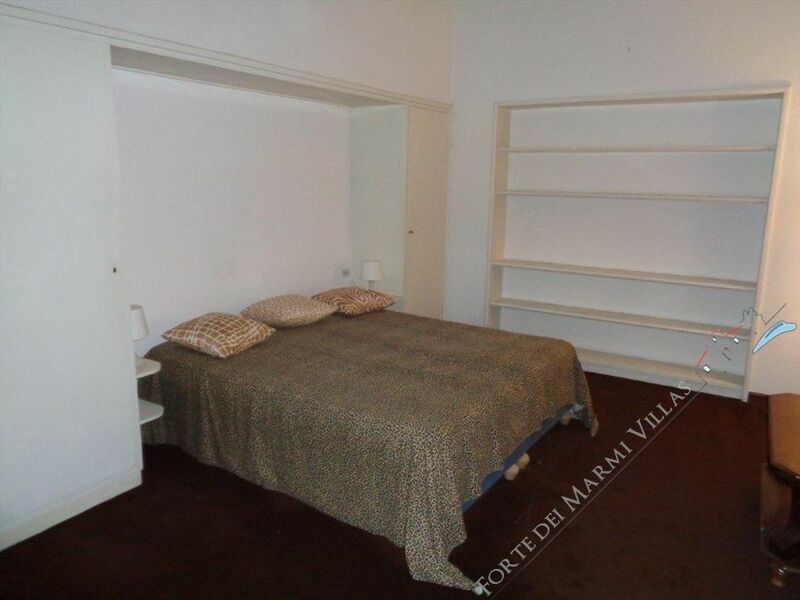 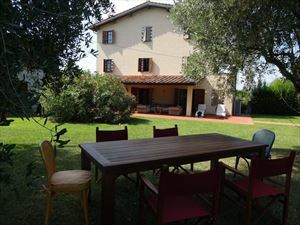 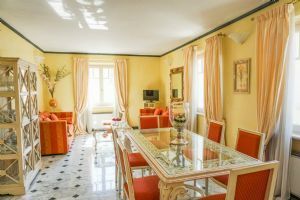 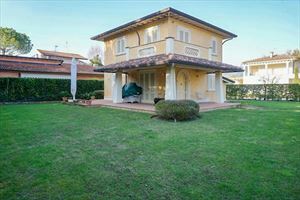 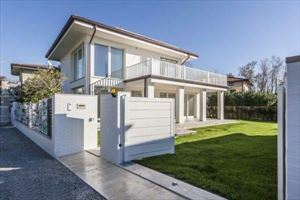 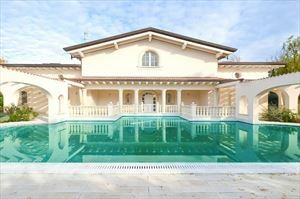 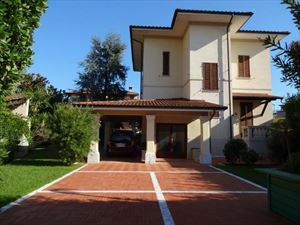 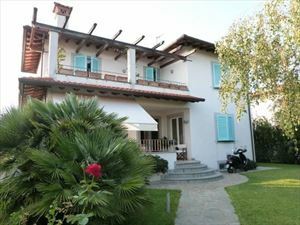 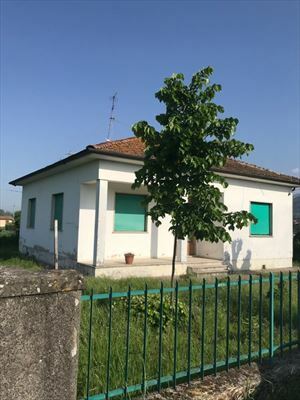 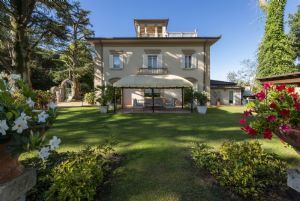 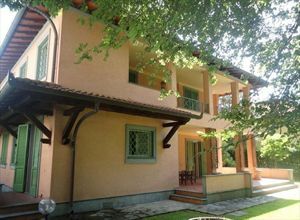 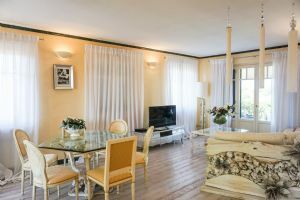 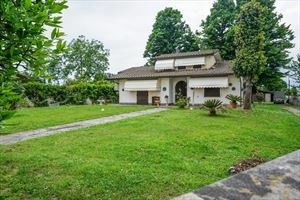 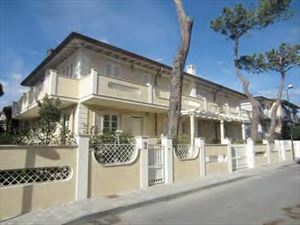 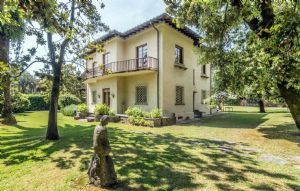 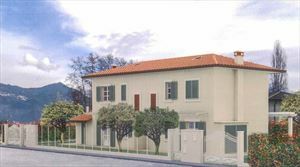 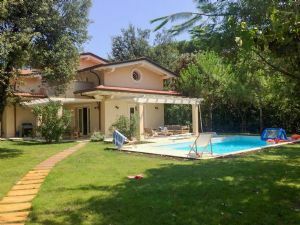 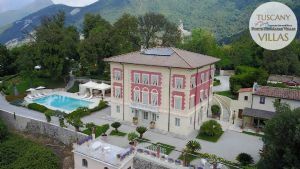 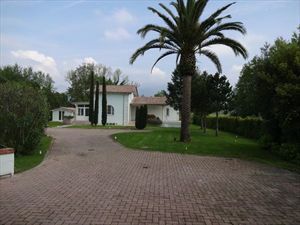 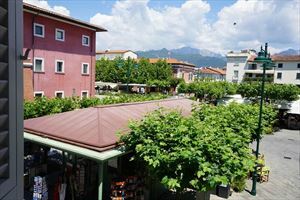 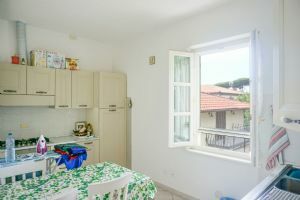 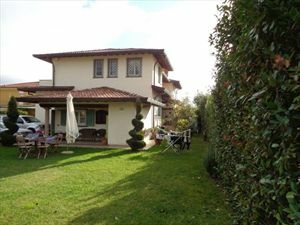 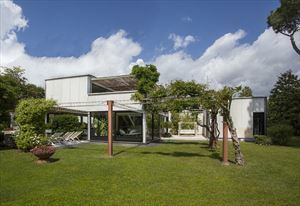 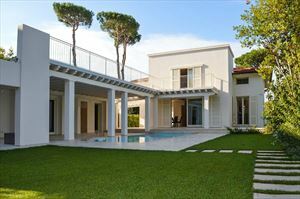 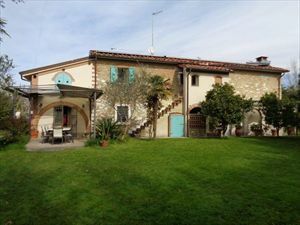 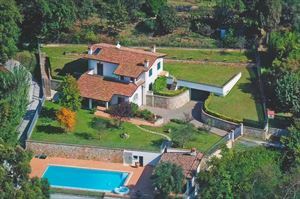 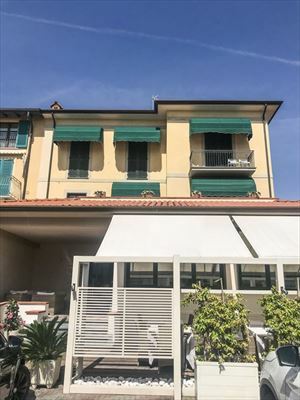 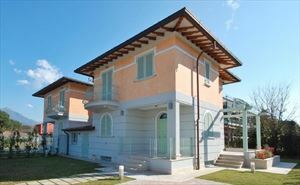 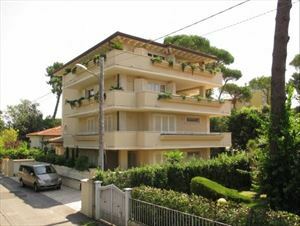 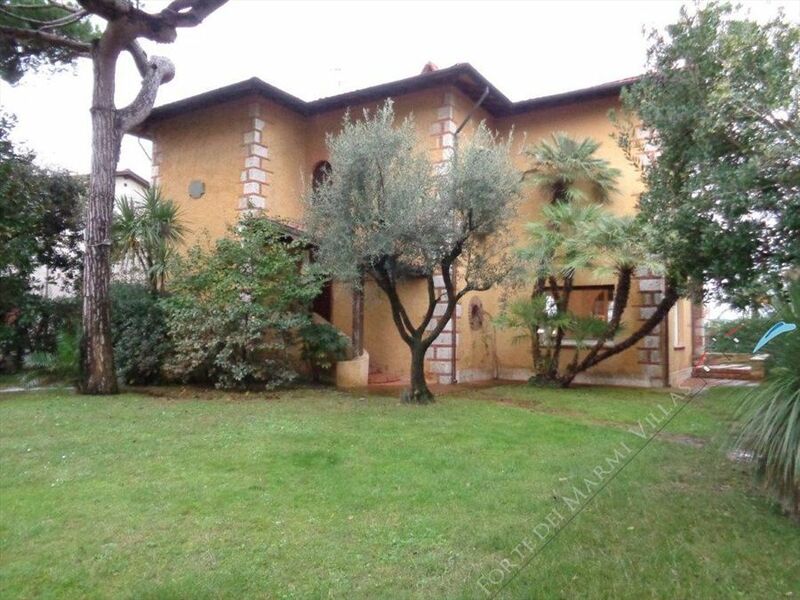 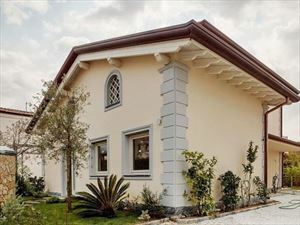 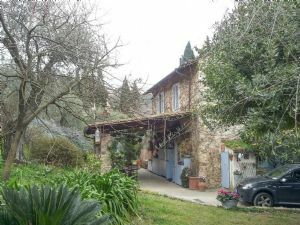 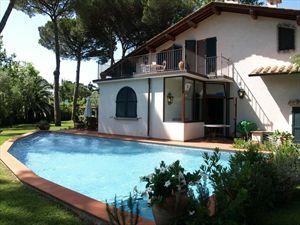 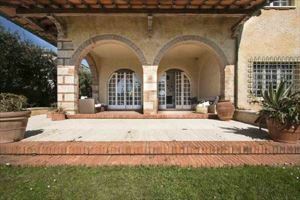 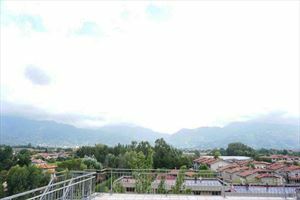 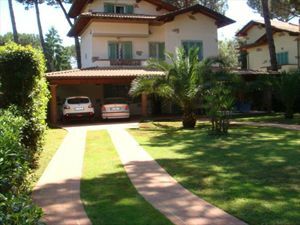 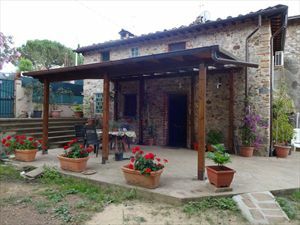 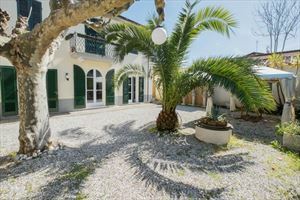 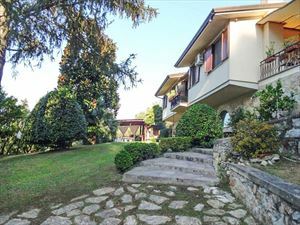 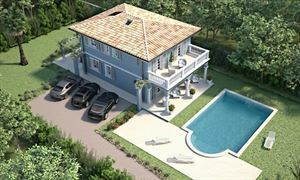 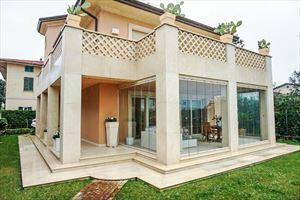 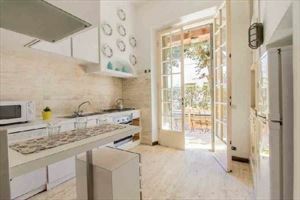 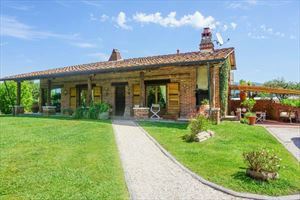 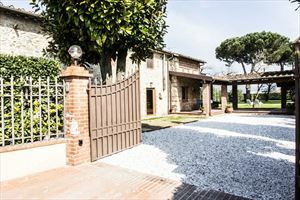 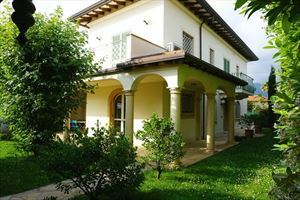 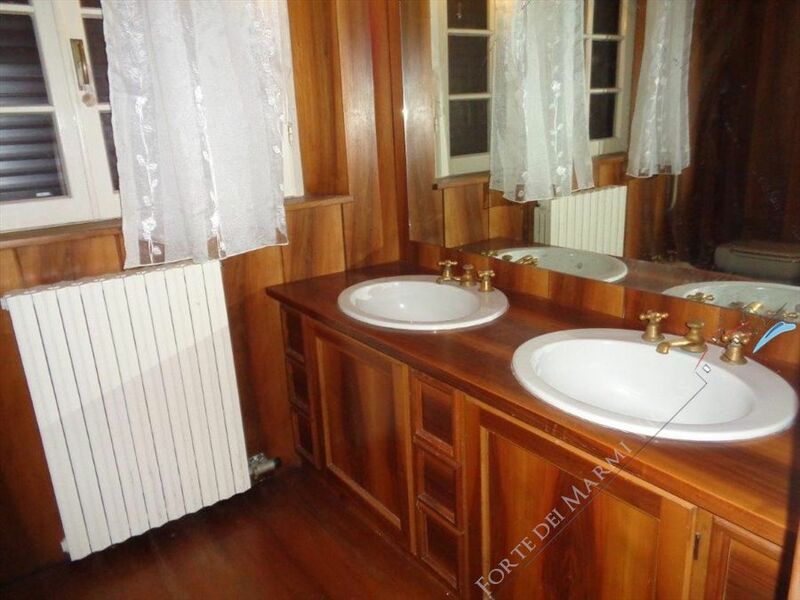 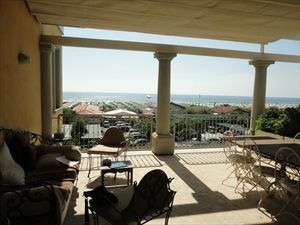 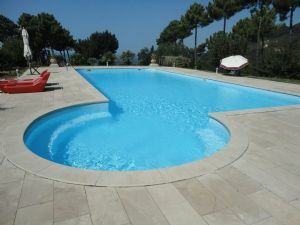 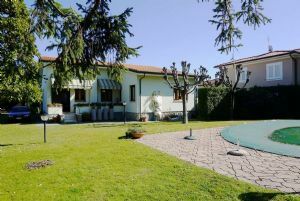 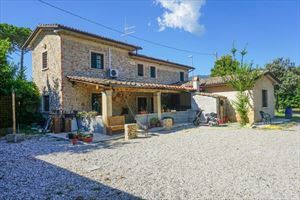 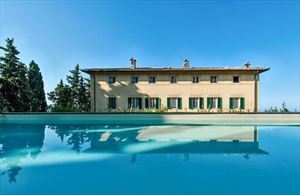 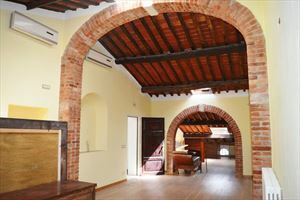 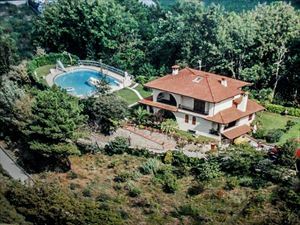 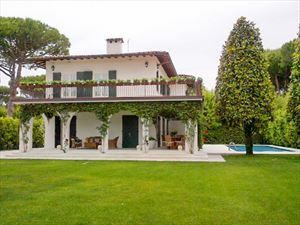 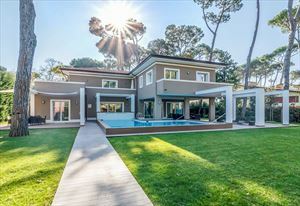 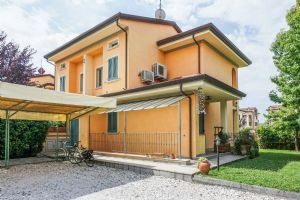 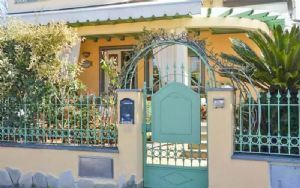 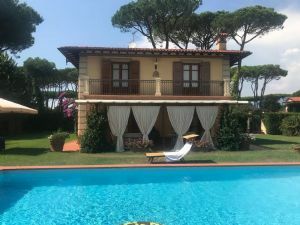 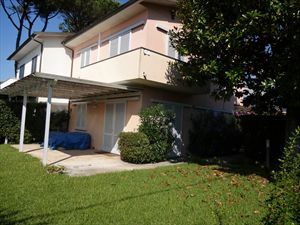 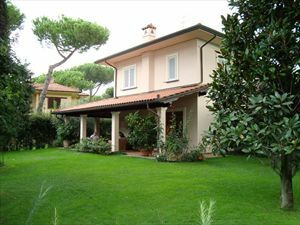 A detached villa with a garden (about 1000 m2) with sea view, located in Marina di Pietrasanta, just 100 meters from the beach and 4 km from Forte dei Marmi. 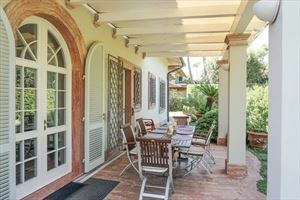 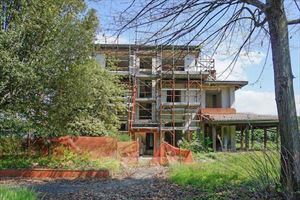 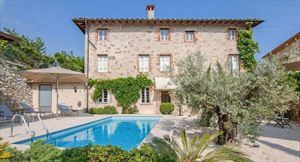 The ground floor comprises an entrance hall, a living room, a dining room, a bathroom, a bedroom with private access to the garden, a large patio with furniture for outdoor dining. 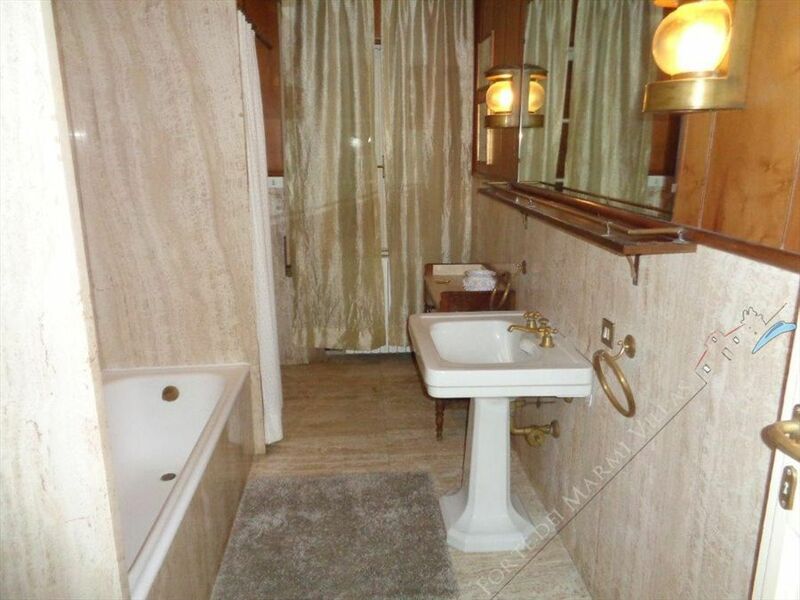 On the upper floor we find 4 bedrooms, 2 of which with en-suite bathrooms. 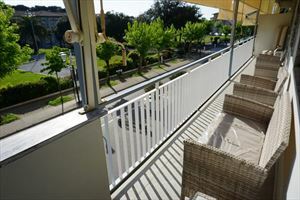 One of the bedrooms has a balcony overlooking the sea. 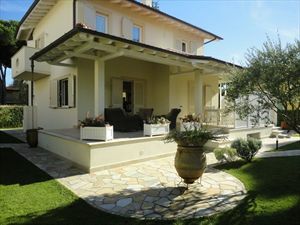 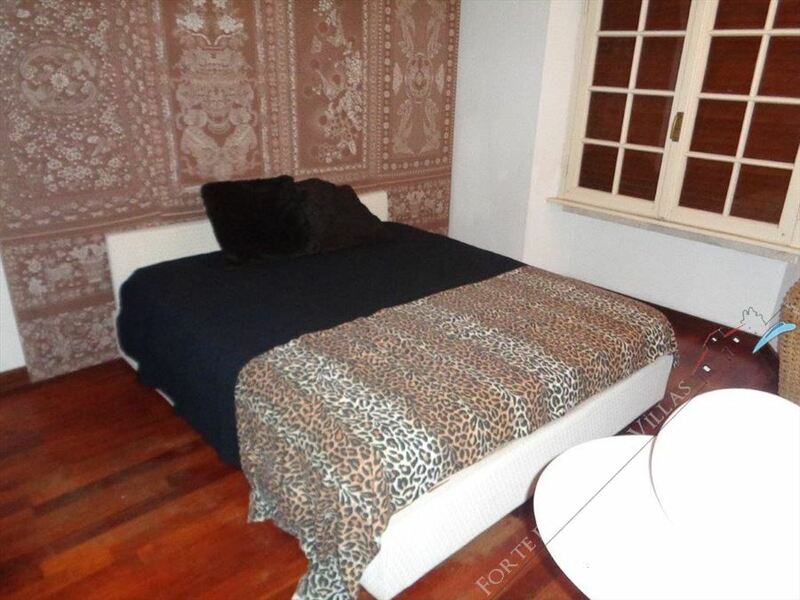 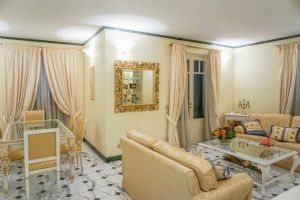 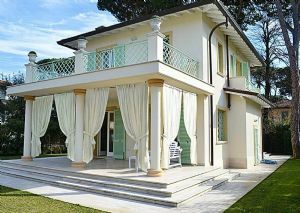 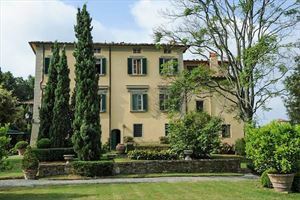 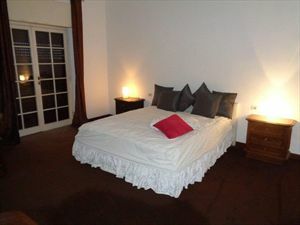 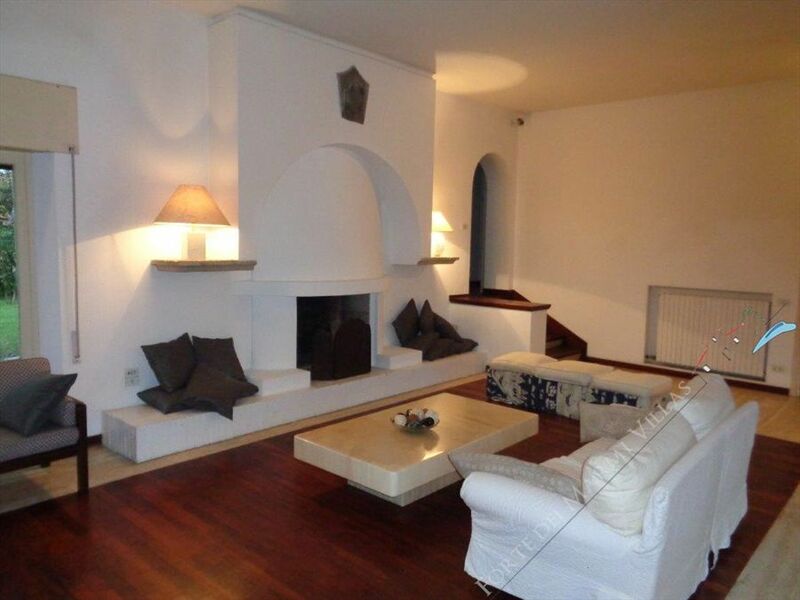 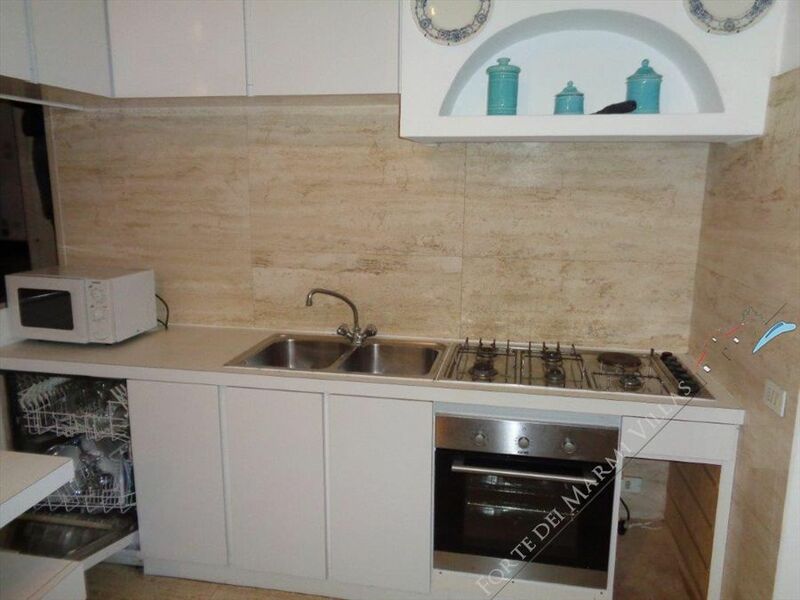 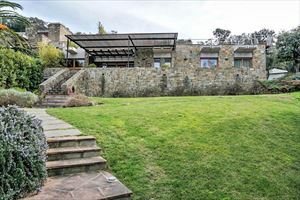 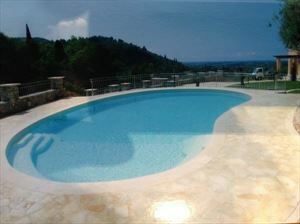 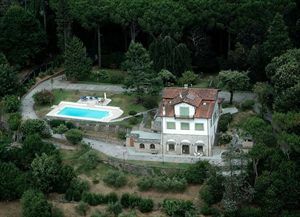 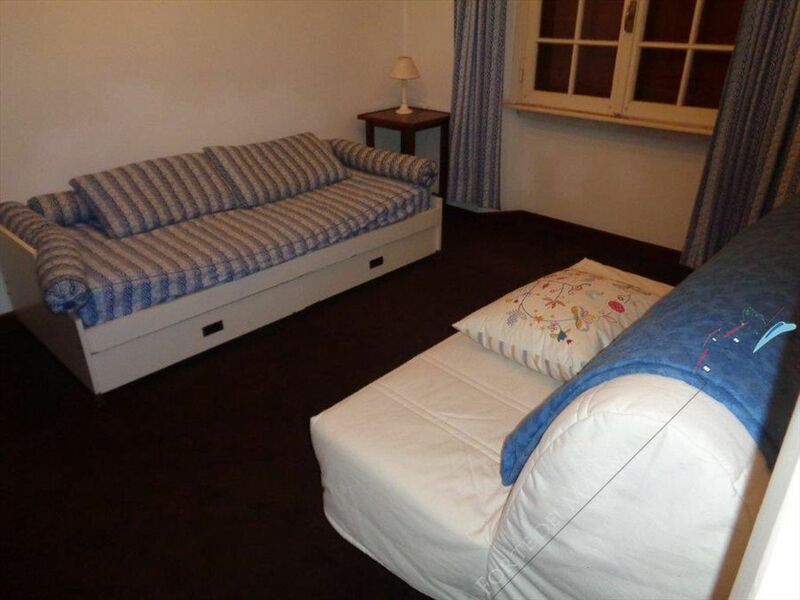 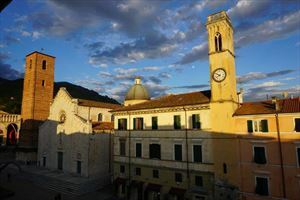 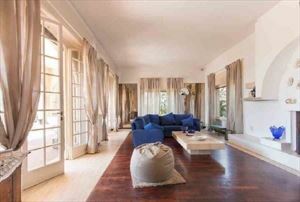 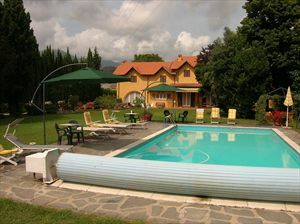 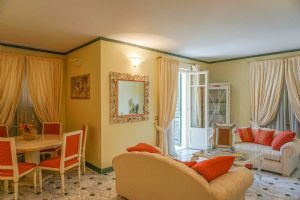 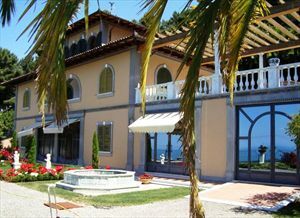 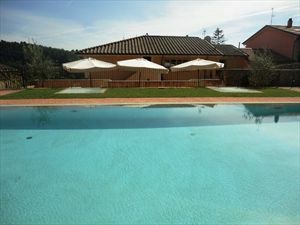 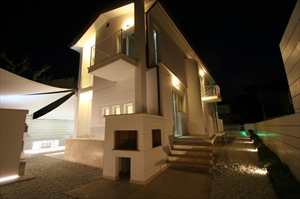 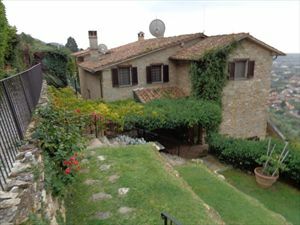 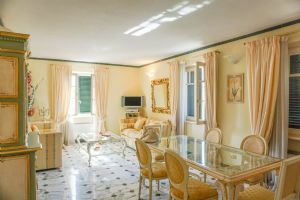 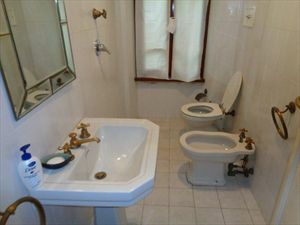 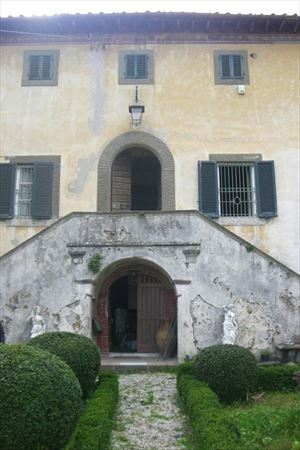 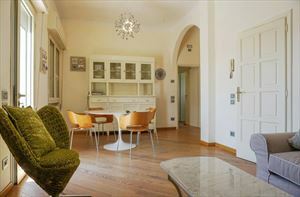 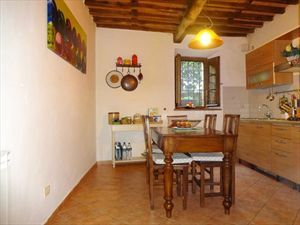 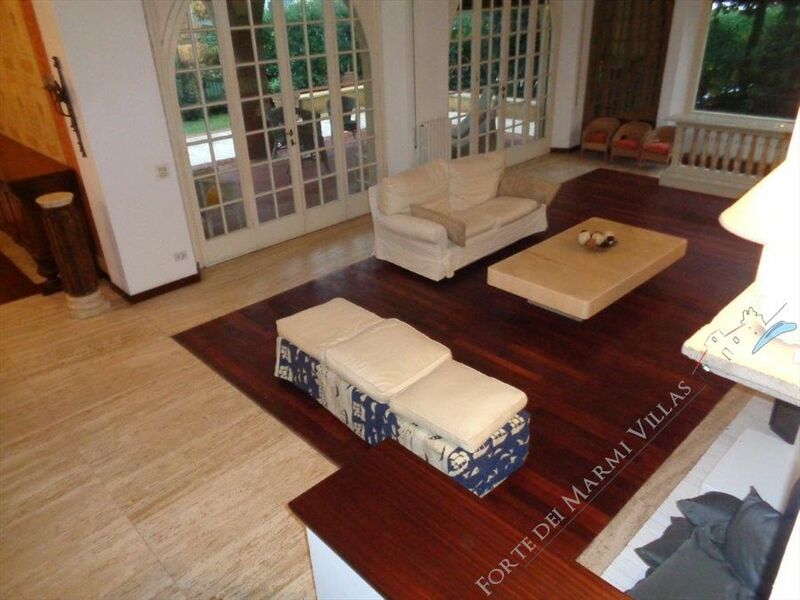 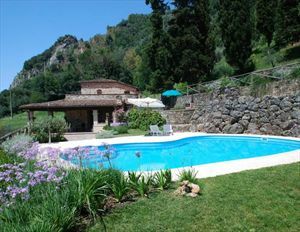 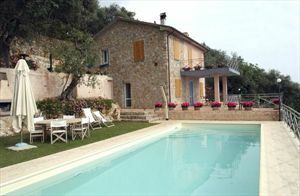 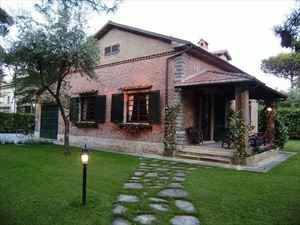 The villa is provided with air conditioning, alarm system, fireplace, satellite TV, Wi-Fi, automatic gate. 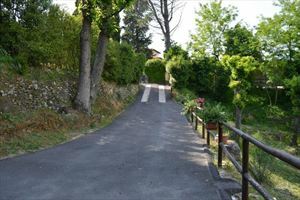 There is also a parking area in the garden.